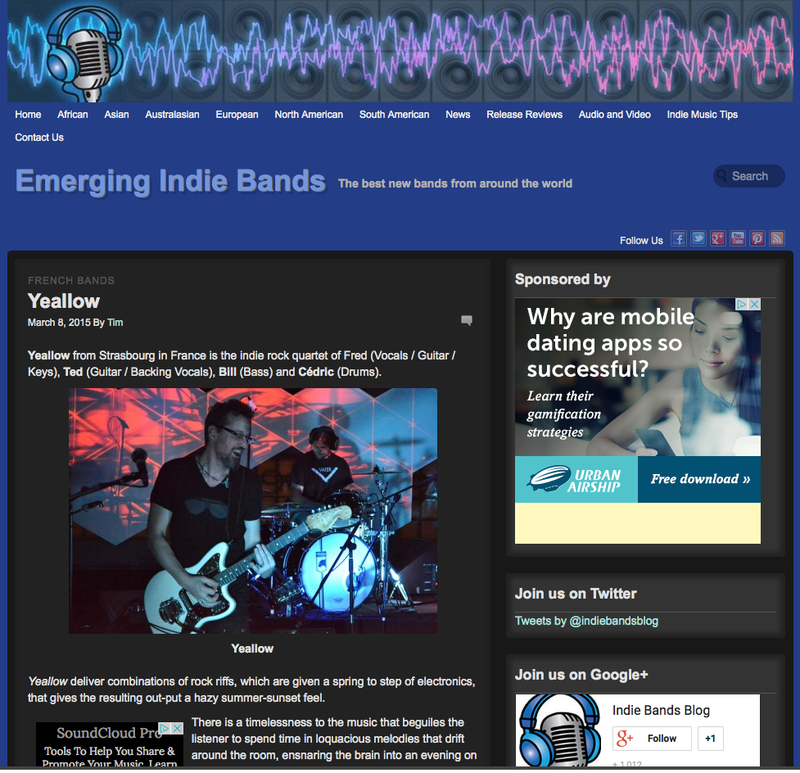 Yeallow from Strasbourg in France is the indie rock quartet of Fred (Vocals / Guitar / Keys), Ted (Guitar / Backing Vocals), Bill (Bass) and Cédric (Drums). Yeallow deliver combinations of rock riffs, which are given a spring to step of electronics, that gives the resulting out-put a hazy summer-sunset feel. There is a timelessness to the music that beguiles the listener to spend time in loquacious melodies that drift around the room, ensnaring the brain into an evening on the Côte d’Azur watching life ebb and flow. Yeallow is able to unify lazy-hazy summers days with sounds that engage the audience as underlying the shimmering textures is a darker presence that gives the material the gravitas that intoxicates the mind. Formed at the start of the decade Yeallow disappeared off the scene and in 2014 reappeared with a change of percussion player and a new enthusiasm for creating, which has culminated in the forthcoming LP – Homebred. I hope this time round they are able to retain momentum as their material adds much to the meaning of life.